A Literary Odyssey: Changes and Goals. While I have been away from here, I have been reflecting a lot on the blog, the books I have chosen to read, and my goals for this coming year. To start with, I simply planned on chronicling my reading of a set list of books that were predetermined in advance. 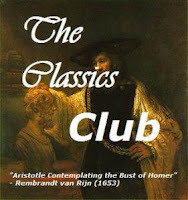 Based on everything I researched, I simply selected 250 of the most recognizable classics. Even as I was making the list I was questioning myself. I wasn’t sure if I should slim down the list to a more “manageable” number (like 100), or if I should cut out all dramas, which slim the list down even more. It was a hard task, and inevitably, some books didn’t make it on the list while others did. In the time since then, I have come to realize that there are 2 authors NOT on the list that should be. Both of these authors are considered among the “classics” and their work is from the same time period. I feel like it is only fair to myself and the credibility of my list that they be added. However, I didn’t want to add more numbers, so I decided, after a lot of indecision, to remove 5 books from the list. Choosing which books should be removed was difficult. 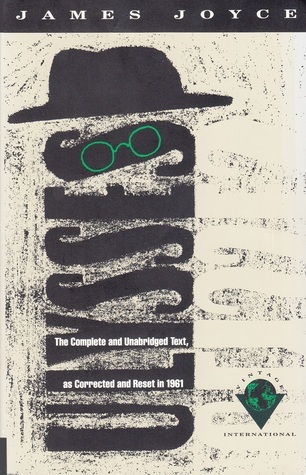 I honestly just wanted to remove the entire remaining Dickens novels….but I figured that would not be a good thing in regards to my goal of reading the classics (classics and Dickens seem to go hand in hand). I eventually decided to remove some of the few volumes of autobiographical work, as well as a few nonfiction titles. Pretty much everything on my list is fiction or drama, so those few volumes seemed to stick out. So, here are the new changes. With the exception of Origin of Species, I have read all of these books in college, so I won’t be missing out on too much. Wives and Daughters, Cranford, and Mary Barton by Elizabeth Gaskell (I am leaving North and South off the list since I have watched the BBC mini-series more times than I can count and know nothing of her other work). The Woman in White and The Moonstone by Wilkie Collins. I am also going to give myself 5 free passes to take a break from this list to read something NOT on the list. I am doing this for a few reasons…but mainly because there are a lot of great concluding novels coming out in the next year or two to series that I have been following. I don’t want to have to avoid reading other book blogs for a time period because of reviews on those books. Also, I will need that opportunity for a break. Don’t get me wrong, I love reading these classics, but they take a lot more brain power than a fantasy novel, or a young adult read. My reading pace has slowed considerably and it is hard not to get discouraged. I am also going to be networking a little more than I was. I kind of “Gave up” on reaching out to other bloggers in the last month or so (the wedding being the main reason), so I want to really pick that up and discover some other new blogs to read. As a personal “book” oriented goal, I really want to hit the magical 100 again this year, since I only hit 90 last year (a huge disappointment), so I will be trying to pick up some more things, or trying to switch between a few things if I get into a rut. Anyway, that seems to be all of my thoughts on the blog and blog details for now. I am updating the book list (which was posted back in August) to reflect my new changes. Sunday Salon: January 31, 2010. Book 17: Length in Novels. Book 14: Finished-More Than Just Bunnies.